This may just be coincidence. But a different angle to monitor. The grounding by the Civil Aviation Administration of China of Boeing 737 Max aircraft in operation with local carriers removes the single largest fleet worldwide from operation. According to data from Cirium’s Fleets Analyzer, there are 371 737 Max aircraft currently in service, just over a quarter of which are in operation with Chinese carriers - 97 aircraft, equating to just over a quarter of the global fleet. Major Chinese Max operators include China Southern Airlines (24), Air China (15) and Shanghai Airlines and Hainan Airlines (11 each). The Max fleet is currently spread across 54 operators based in 34 countries. Asia-Pacific carriers currently account for the largest fleet of 737 Max aircraft – 136 aircraft (37% share). The USA is the second largest Max market, with 72 aircraft in service. This Includes 34 aircraft flying with Southwest Airlines, which is the largest Max operator worldwide. Other major US operators include American Airlines (24) and United Airlines (14). The other large Max fleet is centred in Canada, where 40 aircraft are in service with Air Canada (24), WestJet (13) and Sunwing Airlines (3).
. . . and the B737 flight controls are mechanical; no C* laws apply to the type. The MCAS is a physical intervention, albeit driven by software using the present physical installation, (the STS, speed trim system). T-nine, in terms of licencing and training the MAX is legally the same "type" according to the FAA FSB, (Flight Stanardization Board). I think the Brazillians disagree in their Agência Nacional de Aviação Civil Operational Evaluation Board document and have set the MAX as a different "type", but know nothing beyond that regarding AOM requirements, training or licencing. 28 years old. First command. And how many hours ON TYPE? On an aircraft with lots of ‘gotchas’. Not good. But perhaps not that uncommon. What has this industry come to? South African carrier Comair has become the latest Boeing 737 Max operator to take the type out of scheduled service following the fatal crash of an Ethiopian Airlines flight yesterday. Comair, which operates flights as a British Airways franchisee as well under the Kulula budget brand says it has decided to remove its one 737 Max from its flight schedule. Executive director of its airline division, Wrenelle Stander, however stresses that neither regulatory authorities nor the manufacturer has required it to do so. "While Comair has done extensive preparatory work prior to the introduction of the first 737 Max 8 into its fleet and remains confident in the inherent safety of the aircraft, it has decided temporarily not to schedule the aircraft while it consults with other operators, Boeing and technical experts," the airline says. Comair only received the first of eight of the type it has on order at the end of February. "The safety and confidence of our customers and crew is always our priority," says Stander. 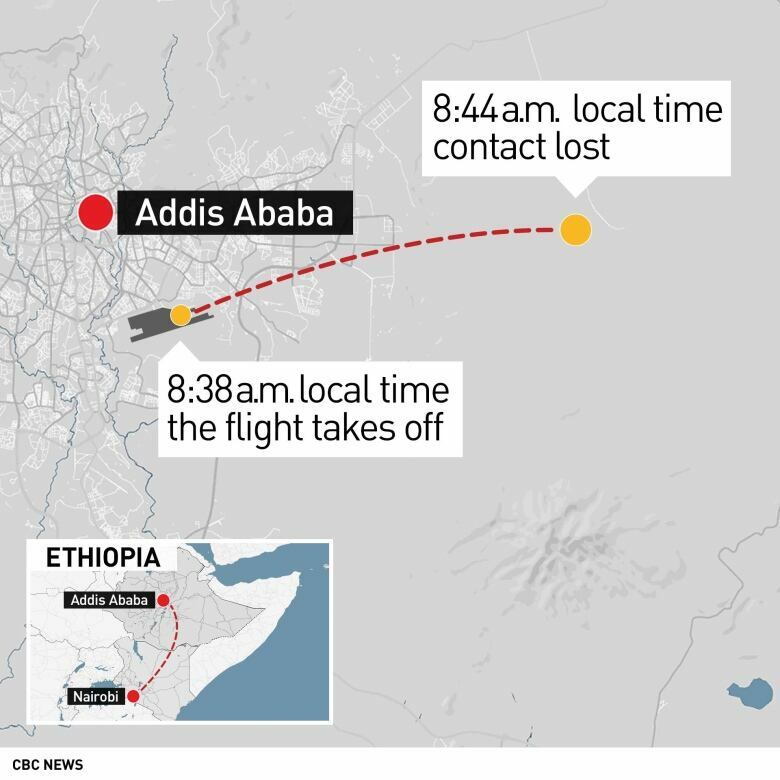 Following the fatal crash of an Ethiopian Airlines 737 Max 8 operating flight ET302 to Nairobi shortly after take-off from Addis Ababa yesterday, the carrier decided to ground the type as an extra safety precaution. The Civil Aviation Administration of China had earlier grounded the type following the crash. China has the largest number of Max 8s in service, 97, Cirium's Fleets Analyzer shows. Cayman Airways has also grounded its two Max 8s. The irony being, one is disabling a system that appears to be a type-certification requirement. On private non-manufacturer decisions by various operators around the world to ground their MAX's, they must consider all factors and do as they feel best but it's my view that there is no indication that the aircraft is "unsafe" providing the recent AD is fully understood, trained, reviewed by crews and where necessary, actioned accordingly. One grounds an aircraft when one doesn't know what the problem is after a serious event and doesn't know yet what protective responses are to be taken. Also, while the Thales pitot installation may have been an issue for ~30 A330 UAS events and one fatal hull loss, there is no evidence yet, that this a/c's #1 AoA sensor was providing incorrect data. My goodness, I saw that and assumed 200 on type…. if that’s total, it’s a lot of airplane for that experience level. In a previous lifetime….TRI/TRE (on another type mind you), I had quite a few foreign students at that threshold.I then had some of them back for recurrent training 6 months later, “not stellar” (as mentioned previously) succinctly covers it. IMO, a lot of training time is dedicated to mastering the automation and very little devoted to selecting the appropriate level of automation to the task at hand. If my returning students were any indication of this being a trend, then I feel safe noting (in general and not specifically aimed at this occurrence) that too many pilots allow automation to place their aircraft in situations that are either unrecoverable or demanding maximum performance to avoid being so. Reverting to hands and feet was a tough sell with them and some (due to skill fade) even lacked the cross check speed to prevail in the effort. Sadly, a few minutes of twizzles (remember them) was sufficient to reinit them in most cases and 15 minutes later, the results were dramatically different on the re-do. Here's the letter from the APFA president saying 'normal' fear of flying procedures will be followed. A interesting article re Southwest, evidently the mod was offered from Boeing but not all airlines purchased it. What about AirCanada and WestJet? Evidently AA had it added to their aircraft when first purchased. says American had opted for the display feature from the get go. Hey guys my flight is tomorrow same plane . Should I cancel ? In my opinion, Boeing should’ve made AoA indicators standard issue in every Max after the Lion Air crash. There is so much blank screen space on the outboard displays, it is ridiculous. Subject: This message provides information regarding FAA continued operational safety activity related to the Boeing 737-8 and Boeing 737-9 (737 MAX) fleet. Situation description: Following the accident of an Ethiopian Airlines Boeing Model 737-8 airplane on March 10, 2019, the National Transportation Safety Board (NTSB) as the accredited representative, and the FAA as Technical Advisors, are supporting the Ethiopian Accident Investigation Bureau. The FAA has dispatched personnel to support the investigative authorities in determining the circumstances of this event. All data will be closely examined during this investigation, and the FAA will take appropriate action if the data indicates the need to do so. External reports are drawing similarities between this accident and the Lion Air Flight 610 accident on October 29, 2018. However, this investigation has just begun and to date we have not been provided data to draw any conclusions or take any actions. Interesting reaction to this recent crash. Total flight ban by Australia and Singapore. Boeing confirms it will deploy a software upgrade to the 737 Max 8 — the model that crashed on Sunday in Ethiopia and several months ago in Indonesia. Boeing has said it will deploy a software upgrade to the 737 Max 8, while airlines around the world grounded the jet and authorities continued to identify the remains of 157 people killed in Sunday's Ethiopian Airlines crash. Sunday's disaster — following a fatal crash of a 737 Max 8 jet in Indonesia five months ago — has caused alarm in the international aviation industry and wiped billions of dollars off the market value of the world's biggest plane-maker. Safety experts say it is too early to speculate on what caused Sunday's crash or whether the two recent accidents are linked. Most accidents are caused by a unique chain of events combining human and technical factors. The victims came from more than 30 different nations, including 18 from Canada and nearly two dozen staff from the United Nations. "Losing a brother and mother in the same day and not having their bodies to bury is very painful," he said in Nairobi, where the plane had been due. Boeing said in the aftermath of October's Lion Air Flight crash it has for several months "been developing a flight control software enhancement for the 737 Max, designed to make an already safe aircraft even safer." The software upgrade "will be deployed across the 737 Max fleet in the coming weeks," it said. But the company said it has no reason to pull the aircraft from the skies "based on the information available." By Tuesday, civil aviation authorities or airlines had grounded nearly 40 per cent of the world's in-service fleet of 737 Max 8s. Indonesia also said Monday it grounded 11 of the aircraft for inspections. As of Tuesday, Caribbean carrier Cayman Airways, South Korea's Eastar Jet, Singapore-based SilkAir, Brazil's Gol Airlines, Argentina's state airline Aerolineas Argentinas, Mexican airline Aeromexico, Comair in South Africa and Royal Air Maroc in Morocco had all temporarily suspended operation of their Max 8s. On Tuesday, Australia suspended all flights into or out of the country by Max 8s. None of the country's own carriers fly that model. Still, other major airlines, including American and Southwest in the U.S. and Norwegian Air, said they would keep flying the Max 8. Canadian Transport Minister Marc Garneau said it would be "premature" to ground all 41 of the planes currently owned by the country's air carriers. Speaking to reporters in Montreal on Monday, Garneau said he would "without any hesitation" fly on a Max 8. "I'm reassuring Canadians that we will determine what the cause was [of the Ethiopian] crash," he said. "This plane already has millions of miles of flying." Wow! I never thought I'd see the U.K. join in on this ban. With an order list of over 5000 aircraft Boeing has to get a handle on this Max problem. Well they certainly don't have Einstein for a president. Yes, I see that; disappointing, as that is not the long-standing aviation culture that they are renowned for. In my view, Canada has taken the correct course of action. There is no basis for grounding the aircraft until there is data. The recorders have been recovered and are hopefully in the U.S. being read, there are SOPs that govern the operation of the MCAS now and millions of hours have been safely flown by the type since last October. The corrective action is comprehending what Boeing sent out in November of 2018 and ensuring crews thoroughly understand their aircraft and are capable of taking correct action using memory items and NNC's. The overheated internet/twitter/social-media environment makes it very difficult for people in charge to think and make rational, intelligent decisions based upon data, of which there is none, at present. To me, grounding an aircraft should occur when the regulator and/or the manufacturer cannot explain through normal means and ready evidence, a serious event, and can't create a response for crews to follow due to lack of data. The B787 grounding was of this sort, because the Lithium battery fires were not initially clearly understood. Here, there is a procedure which we know worked because the first Lion Air crew used it successfully. The stick-shaker and possible UAS is certainly a handfull for crews but all this is in "known" territory and is a training matter. There were 31 UAS events on the A330 and 30 were handled quietly by crews that understood the drill and landed their aircraft safely. The A330 was never grounded and correctly so. I think the same should apply to the MAX. Interesting point in the interview with the aunt when she states his communications with the tower.......how would she know what was transmitted/occurred?? Interesting note that the AOA indicators are fitted to ALL of the aircraft. These are used during the flight test phase when the aircraft is pre delivery to the customer. It allows the flight test team to record the behaviour during the Flight Test Procedures. Certain things must happen at certain AOA angles. Prior to delivery to the customer, this feature is removed (deactivated) in the system as generally this information is not specifically value added to operating the aircraft. It seems ow that the indicators are being requested to be left on in service. My personal feeling on this, is that it may cause as many issues as it hopes to solve. There is such a thing as too much information and how that information is interpreted.